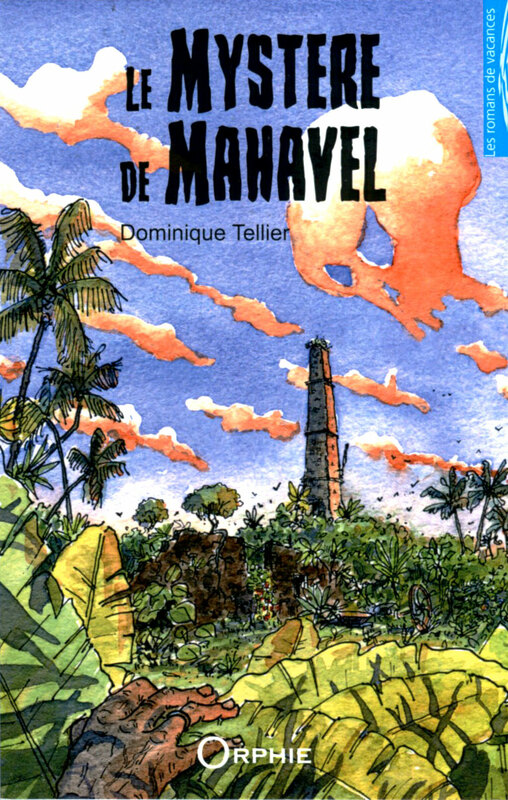 Dominique Tellier wished for an illustration for his last novel “Le Mystère de Mahavel”. 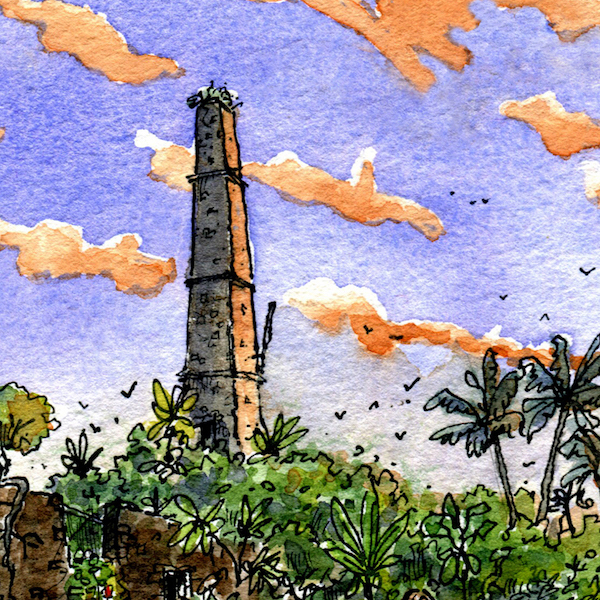 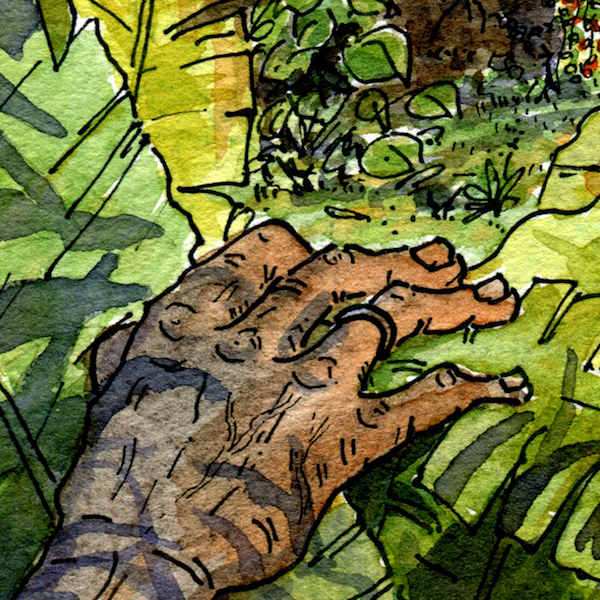 A story which takes place in Reunion island, on the site of a former small sugar factory. 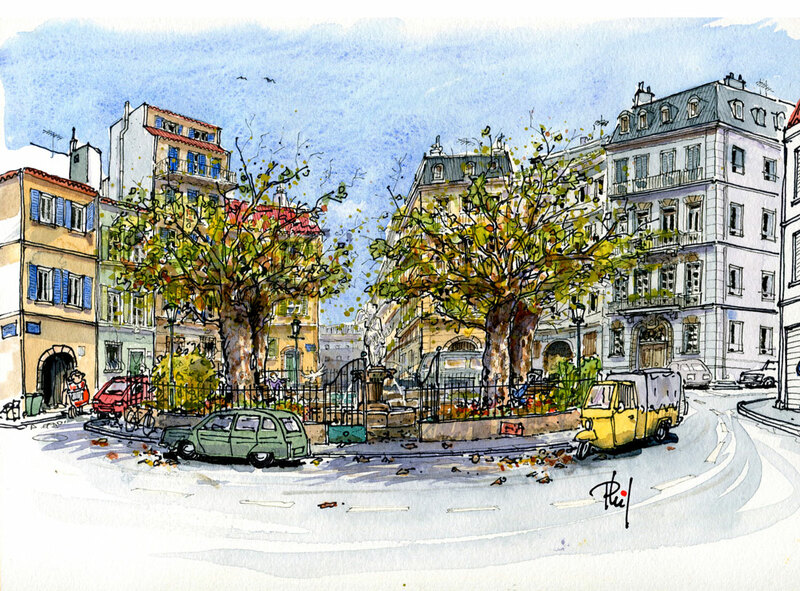 Serge Noaille commissioned a drawing to illustrate the cover of his novel “La Place Alexandre Labadié”.